No modern advisory firm can afford to ignore the opportunities presented by advising family businesses. The Family Firm Institute estimate they generate 70% to 90% of global GDP annually. Around half of the Canadian workforce is employed by a family business, creating nearly 45% of Canadian GDP and in UK, with a £1.1 trillion turnover, they account for almost a quarter of GDP. Yet typically only around 30 percent of the family firms survive the transition to second generation and ever fewer to the third. 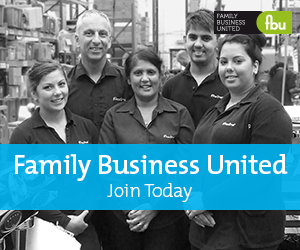 This means the family businesses that survive across the generations are special. Firms like John White and Sons, the oldest family business in Scotland – they specialise in creating weighing platforms – have been trading for 299 years, having been founded in 1715, when King George I was on the British throne. Scottish family businesses make their own remarkable contribution to their nation. 50% of the Scottish private sector workforce is employed by family firms, and 73% of Scottish businesses describe themselves as family businesses. Household names in Scotland are family firms such as Haggis supremos Macsween of Edinburgh, Albert Bartlett, Arnold Clark and Tunnocks, who make excellent tea cakes. Take the likes of Walkers, Baxters Soups, Johnstons of Elgin, James Donaldson & Sons, Kinloch Anderson and William Purves – all are family businesses and firms that share many of the same values too. Given the often quoted saying ‘shirtsleeves to shirtsleeves’ in three generations, these firms have bucked the apparent trend. Not only do they each go back over 100 years, they have survived two World Wars, numerous recessions and economic ups and downs, as well as incredible changes in technology too. They all contribute to the economy but more importantly have a major impact on the communities in which they operate and have done for over a century, providing income, employment and support. These firms know a thing or two about business continuity, and there expertise has been distilled by a new breed of specialist advisers, the Family Business Adviser. The traditional approach of the private client adviser to succession planning is a mix of tax and legal structures. This continues to be important, especially as research demonstrates that family businesses tend not to look at the tax implications that come with retirement. 2013 research into family businesses revealed that well over four in ten business owners don’t have plans in place to cope with the tax implications of extracting profit from their business when they retire. Furthermore, 8% had no understanding at all of the tax implications of taking profit from the business. The lack of tax planning is more acute in smaller firms. For those businesses earning a turnover of between £750k and £1m, the majority of owners admit to not having put any plans in place. In comparison, 83% of owners of businesses with a turnover or £5m or more fully understood the tax implications. Not only is tax planning important therefore, but simply having enough money to retire makes all the difference. The business owners are not going to want to pass on the business if they cannot afford to. This means putting in place a sound investment strategy outside of the business, usually through pension planning or establishing an investment portfolio for the long term. Therefore the private client professional, working with an investment manager and or financial advisers will help family businesses ensure a smooth handover. They can help business owners ensure they have the relevant plans in place to them maximise profit from their business when they retire. Indeed the hard work that goes into setting up and running a business can be lost if proper planning isn’t in position when approaching retirement. The solutions can be simple if business owners seek the right guidance early, placing them in a stronger position to protect their wealth. And in addition to tax, structuring and retirement planning the family business adviser approaches succession planning in family business from the unique perspective of the multiple interests which come with family businesses. This kind of succession planning is more about family politics. Best practice tells us succession planning in a family business will follow distinct stages, namely: preparation, exploration, choice and implementation. Exploring these stages gives us a framework to understand what the client needs from his family business advisor, so its worth getting to grips with these if you are going to give advice. Preparation starts with an acknowledgement on behalf of the client that there is a need for some planning. There is often a natural resistance to starting this kind of work and a few clients will even be in outright denial. It is important for the adviser to be aware that you need to work at a pace the client feels comfortable with. “Many business owners are so focused on growing their business from being a SME to a large enterprise that they do not see it as a priority and will defer that whole piece of work.” said Sandy Loder of AH Loder Advisors. Given this, do not therefore be surprised if clients tend to push succession planning into the background. Typically, succession planning will begin in earnest when a trigger event takes place, and experience suggest that this is when the business owners reach a certain age (60 or 65 perhaps), a significant threat or opportunity arises to the business model due to changes in the external environment or a family trigger, such as marriage, divorce or illness.. Educating the next generation is important to prepare them for responsibilities but no matter how well educated the next generation become, transitions cannot occur until the seniors, who usually have the power, embrace planning for the future. The help that seniors need at times like these is a combination of patience for listening and clear options for the future. There is also a sweet spot in terms of timing. Business owners in their 60s are more likely to have children aged over 35, and this is seen as the start of the phase in their children’s life when they are likely to be more settled, and more likely to seek responsibility. So, once work is underway properly this is the best time to clarify that the work that will be carried out within an agreed timetable and budget. The timetable should be long enough for the work to be done thoroughly but having an end in mind is better than starting off on an exploration without any sense of when it is due to be completed, or how much it will cost. Exploration involves giving the clients alternative possibilities in relation to the future governance of their enterprise. Projecting 10-20 years into the future will help confront clients with options on the likely future picture of how individuals will contribute to the family, business ownership and active business involvement. Advisers should take care that these options do not become an endless opportunity to discuss considering the future, while avoiding taking any decisions. The choice stage is best structured by projecting 10-20 years in the future, as this will show there are a finite number of choices. For example the business founder may now be 80, will he still want to be an active shareholder? These should be discussed at length and ultimately decisions have to be made. Nevertheless this may take some time as a kind of grieving process will come into play for the emotional capital which has been invested in alternatives. In the Implementation stage there now needs to be time and work invested in producing an effective implementation plan, committing to a timetable and an announcement strategy for the wider family and the business. Recognising and following these stages: preparation, exploration, choice and implementation, gives the family business adviser an essential framework to help their clients and reassure them that you are working a well trodden path. For the adviser it is also helpful to recognise that clients must move at their own pace. Taken together its clear there are multiple issues facing those who wish to pass their business down the generations. If any one piece is missing the likelihood of the business transitioning is vastly reduced. Co-ordinating these issues; tax, investment, financial planning and family dynamics is the role of the trusted advisor, someone who can look beyond their own specialism and see the whole picture. Professional advisors – be they private client or family business advisors - are uniquely well placed to carry out this role, which is why wealth managers will continue to develop close relations with them for the benefit of their mutual clients. About the Author - Penny Lovell is Head of Private Client Services at Close Brothers Asset Management and specialises in family business clients.